The glove set consists of an outer glove to provide chemical protection and an inner glove to assist in absorption of perspiration. The outer five-finger glove is made of an impermeable, unsupported, black, butyl rubber. The glove set is worn to afford hand protection against nerve and blister agent liquids and vapors. 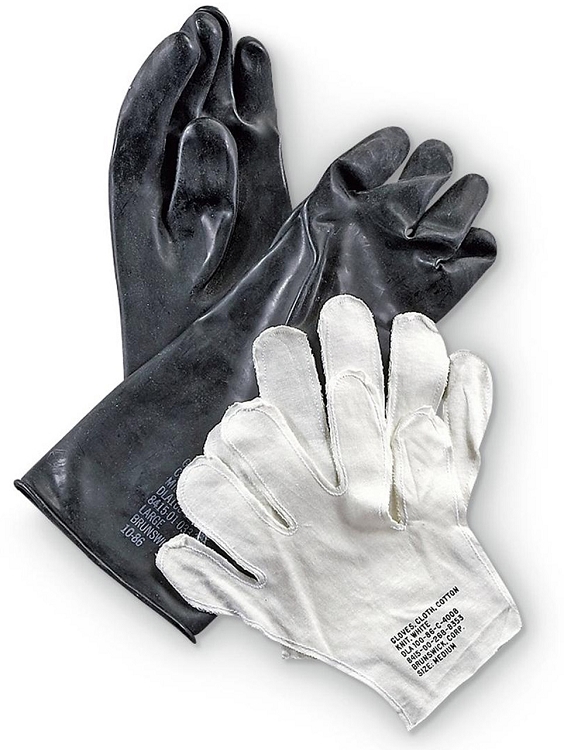 The outer glove gives protection against chemical agent vapors, aerosols, and small droplets for a minimum of 14 days, starting with the first day of wear. Upon contamination, the glove set provides at least 6 hours of protection from agent penetration before they must be decontaminated.